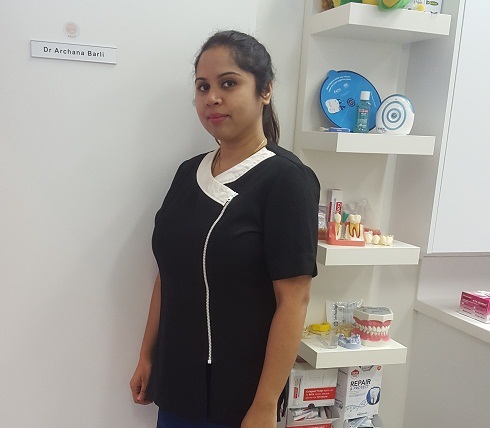 Dr. Archana Barli has a bachelor’s degree in Dentistry from Rajiv Gandhi University of Health Sciences, Karnataka in 2004 and has worked as a consultant in several Public and Private clinics in Melbourne ,Australia for more than 10 years .Dr. Barli frequently travels to Australia where she has a loyal patient base and consults at two of her state of the art clinics. Dr. Barli has pursued various International Specialist Cosmetic, Laser and Aesthetic courses and was trained under world renowned Cosmetic and Laser Surgeons.Dr. Barli has helped thousands of patients regain their confidence, transform their smiles and literally change their lives.She is a member of the Australian Dental Association and a member of Australian Prosthodontics Society.